at least 20 Gallons, Water Changes. rivaling the intensity of color in saltwater fish. This species was only recently described as P. padamya, in 2008.
degrees, low to moderate light, plants for security, active aeration and a darker bottom. 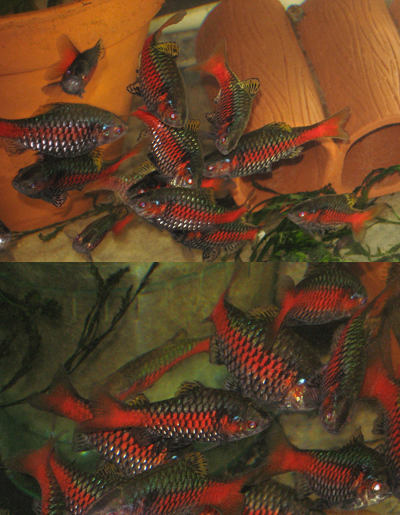 The males are always at full color when they are comfortable, intensifying when being fed. selectively breed and work with. Breeding page, where how we breed them is discussed. 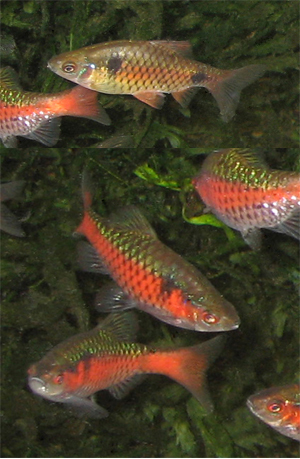 spot near the tail as they mature.